Acuse de recibo: Seremos como El Che? El mundo, sí, es un pañuelo. I thought readers might like to take a peak at this brief e-mail exchange between me and Joshua, a "year 12 student" (which I think is the equivalent of a high school senior and not a 12-year old) from Australia. Hello, I am a year 12 student in Queensland, Australia. I am currently doing my final assessment on a biography about Che Guevara. I have to present a Oral speech presentation about Che Guevara, using a biography as a basis. I have to present information about how Che Guevara was an agent of change in history, how he affected historical events and what historical opinions on him say. The book I chose as my basis for this oral is the Che Guevara book in the Critical Lives series published by Alpha Books. I was wondering if you would be able to assist me with any information about Che Guevara. Such as what your opinion on him is, why you wrote in the book about him and any other information that could assist me in my assessment. Wow! 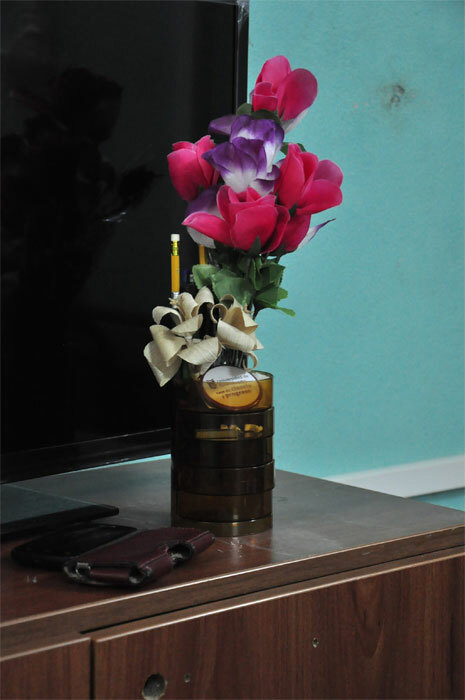 It is quite enterprising of you to reach out to me as part of your project. Ernesto "Che" Guevara de la Serna is certainly a complicated and controversial figure even now 45 years after his death. To assess the impact of his life is difficult since he had so many different stages and phases. Another difficulty in assessing his life is that he tends to be either turned into a hero, saint, and martyr by his fans on the one hand; or a villain, terrorist, and murderer by his detractors on the other. I myself am more of a detractor than a fan of his, but I can and do recognize his important contribution to Latin American political history and especially to anti-capitalist and anti-imperialist resistance around the world. To be brief, I'd say that his most important positive contribution was to recognize, denounce, and confront the abuses of capitalism and U.S. imperialism; and to become a symbol across the world for others who fight for national self determination and social justice. On the negative side, I'd say that his ideological rigidity, intolerance of dissent, and utopian messianism turned out to be a disastrous recipe both for Cuba and for the other countries and movements where his ideas were put into practice. While his vision and example of the "new (altruistic and socialist) man" was inspiring to many, when applied on a national scale in Cuba it led to economic collapse, divisive and almost religious orthodoxy and sectarianism, and perhaps worst of all increasing alienation and cynicism (instead of inspiration and hope) on the part of new generations of children and grandchildren of the revolution. It is quite instructive that the economic reforms currently being slowly put into place in Cuba today under the leadership of Raul Castro are the very antithesis of Guevara's ideas of revolutionary consciousness, voluntary labor, moral incentives, and the new man. 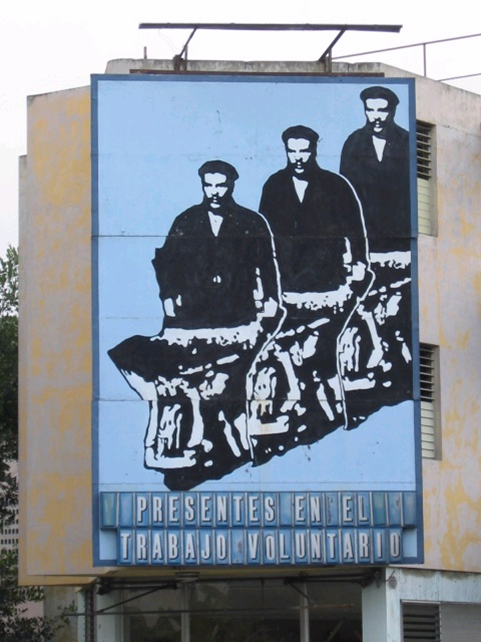 While Che, Fidel, and "socialism" are often celebrated as revolutionary, socialist "saints" today in Cuba (and even used to justify the need for an "updating" of Cuba's economic model), even the Cuban government has come to recognize that their economic ideas have been unworkable at best and ruinous at worst. 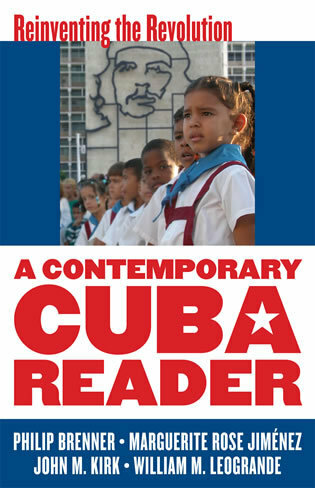 They still teach Cuban school children to shout "Viva Fidel!" (long live Fidel) and "Seremos como El Che!" (we'll be like Che), but almost everyone recognizes the irony and contradiction between these patriotic slogans that celebrate an idealized, defiant past and the "brave new world" that Cuba faces today. I hope this helps and feel free to let me know if you have any follow up questions. 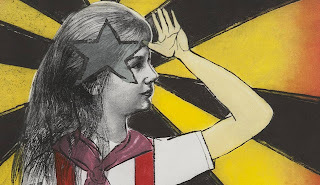 revolution not televised - BronXuseum - July 20, 5 p.m. Inspired by Gil Scott-Heron's famous song-poem from 1970 that detected a wave of cultural changes imperceptible to the mainstream, "revolution not televised" features works by contemporary Cuban artists. Featured artists include: José Bedia, Tania Bruguera, Los Carpinteros, Carlos Garaicoa, Ana Mendieta, Sandra Ramos, and Esterio Segura Mora, among others. 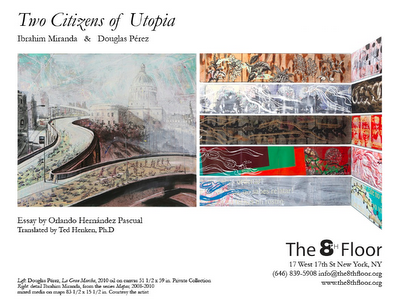 Two Cuban art exhibitions are set to kick off soon in New York City. First, there is "Two Citizens of Utopia," a joint exhibition of work by Ibrahim Miranda and Douglas Pérez at The 8th Floor. The invitation only opening is on Tuesday, July 10, and the show opens to the general public this Wednesday, July 11 and runs through October, 2012. This is followed by "Revolution, Not Televised," an exhibition of 35 works of contemporary Cuban art spanning over 40 years that will open on July 19 at the Bronx Museum and run through October 7. For the documentary lovers out there, I recommend that you check out the fascinating and unique film catalogue at Americas Media Initiative / Cuba Media Project. While at LASA in San Francisco I picked up a sampling of their documentaries on Cuba and have been impressed with the quality, originality, and independence of the work so far. They have a really good and quite brave film on censorship in Cuba entitled "Zone of Silence" (Zona de Silencio, in Spanish with English subtitles) directed by Karel Ducasse - who will be in the U.S. in October on a director's tour, showing his film and doing Q & A's (perhaps you or your institution want to co-sponsor his visit?). The film features interviews with filmmaker Fernendo Pérez, writer Pedro Juan Gutiérrez, musician Frank Delgado, playwright Anton Arrufat, and film critic Gustavo Arcos, among others. AMI also distributes a solid film on "Race" (Raza, also with English subtitles) directed by Eric M. Corvalán Pellé featuring an interview with Esteban Morales among many others. Finally, they distribute a four-volume series of the collected shorts of Cuba's TV Serrana, which function like little but powerful windows into life as lived today in the mountains of eastern Cuba. Finally, for those of you still looking for some books to fill out your summer reading list, I am just winding down teaching a pair of summer classes in which I have really learned a lot. The first class, "The Sociology of the Internet," included the following four books (all are highly recommended - but my favorite was the first one by Wu): The Master Switch by Tim Wu; The Social Media Reader, edited by Michael Mandiberg; The Net Delusion but Evgeny Morozov; and The Consent of the Networked by Rebecca MacKinnon. 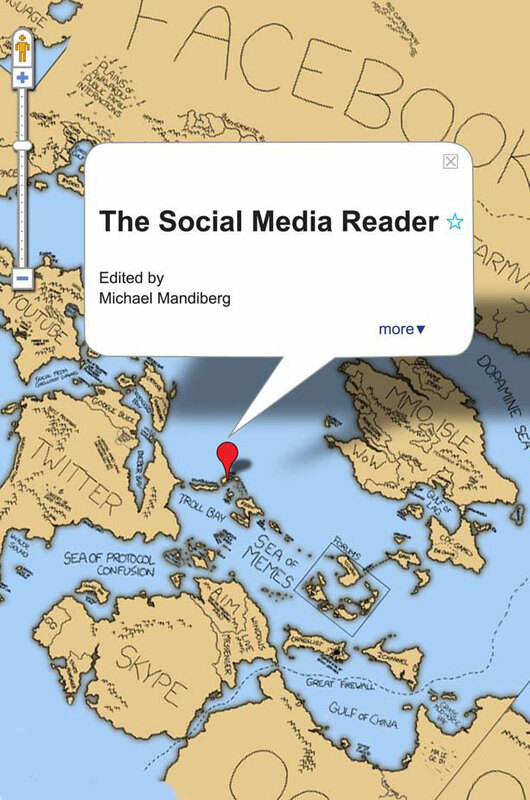 You'll learn about everything from information empires to network neutrality; from the "long tail" to crowdsourcing; from F(l)oss to social surplus; and from networked authoritarianism to cyber-utopianism! You can probably tell that I've been busy writing my final exams! Let's hope my students read my blog. 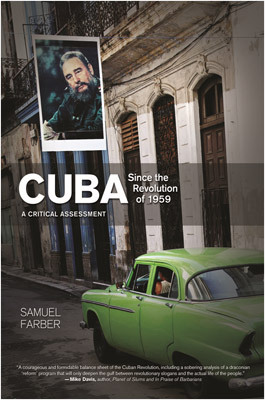 I also taught a class in "Cuban Culture and Society" where we read Samuel Farber's new book, "Cuba since the Revolution of 1959: A Critical Assessment." While the title is a bit overly academic and uninspiring, the book itself is a comprehensively researched, up-to-date, and quite devastating assessment of the last 53 years of the revolution in power. In fact, the book should be called "a devastating assessment," not a "critical" one, although it is both critical in its analysis and devastating in its conclusions and recommendations (from the left). The book starts with two chapters on politics (domestic and international) and two on economics (development policy and labor policy), but I really enjoyed the later chapters on Afro-Cubans (Ch. 5), gender politics and sexuality (Ch. 6), and especially an amazingly fair and comprehensive final chapter entitled, "Dissidents and Critics - from Right to Left" (Ch. 7). The book concludes with a hard-hitting reflection aimed primarily at progressive supporters of (and apologists for) the regime on the many ways that the Cuban systems falls well short of being a "socialist democracy." It also has a useful and incisive epilogue where Farber critiques the direction and scope of Raul's economic reforms to date. Whereas other critics often argue that the reforms "do not go far enough," Farber says that they are going "in the wrong direction." Instead, he recommends "worker self-management, equality, and a democratization of the Cuban political system and society as a whole." For those without the time to read his entire book, Havana Times features an article by Farber that came out just yesterday up on its website entitled, "The Implications of Worker Self-Management" (en Español). HT also profiled Farber's new book (Esp) in December and followed that up with a useful series of posts each of which boils down the essence of each of his chapters. In my previous post, I reported on the unfortunate closure of the pro-revolution blog La Joven Cuba. In the two days since they posted their surprising "taking a rest" message on Friday morning, the Cuban blogosphere has lit up with speculation about what went down in Matanzas. As is her habit, Cuban blogger Yasmin Portales Machado has a witty and incisive post up at Havana Times giving her "take" on the "take down." (Spanish version here). Her comments of solidarity with LJC are especially important given that both she and her husband Rogelio have had at least one public spat with the boys at LJC in the past. It was my own speculation that LJC's "rest" is the fallout from their increasingly critical tone in some of their posts. Likely the last straw for ever-vigilant big brother was a particularly harsh post on May 28, 2012, by Roberto G. Peralo. In it he zeroed in on the government's delay in granting open access to broadband on the island. "Lo sentimos, pero no podemos encontrar lo que estás buscando. Quizás la búsqueda te ayudará"
(We're sorry, but we cannot find what you're looking for. Perhaps the search will help you). This graphic has been borrowed from the blog Acerca de Cuba by Josep Calvet. Even the self-described "progressive" US-based news site Progreso Weekly / Progreso Semanal - which had just begun to syndicate and translate Peralo's posts from LJC - seems to have removed the original article from its site. Wow! It seems that the PCC has some real PULL! Luckily for us, the blog "La Chiringa de Cuba" has kept its reproduction of Peralo's original post up at its site. "Los incumplimientos a lo acordado en la conferencia del PCC"
of the Conference of the Cuban Communist Party). "Prensa Muda" (mute press) that accompanied Peralo's original post. "It's been more than a year since we got the news that the fiber optic cable had been installed, at a cost to the Cuban people of $70M, promising to increase our transmission capacity 3,000 percent. But today we only have more restrictions [on Internet access], more limitations to connect, and no information about what happened [to the cable]." UPDATE: La Joven Cuba takes a "rest"
Harold Cárdenas, Roberto Peralo, and Osmany Sánchez (Tatu) the co-founders of the collective blog La Joven Cuba stand proudly before a billboard celebrating the Union of Young Communists (UJC) featuring Julio Antonio Mella, Camilo Cienfuegos, and Che Guevara. "Lo sentimos, pero no podemos encontrar lo que estás buscando. Quizás la búsqueda te ayudará" (We're sorry, but we cannot find what you're looking for. Perhaps the search will help you). However, neither Orwell nor the PCC seem to have ever thought of Google cache - where old webpages don't die or even fade away, but are stored for easy recovery! 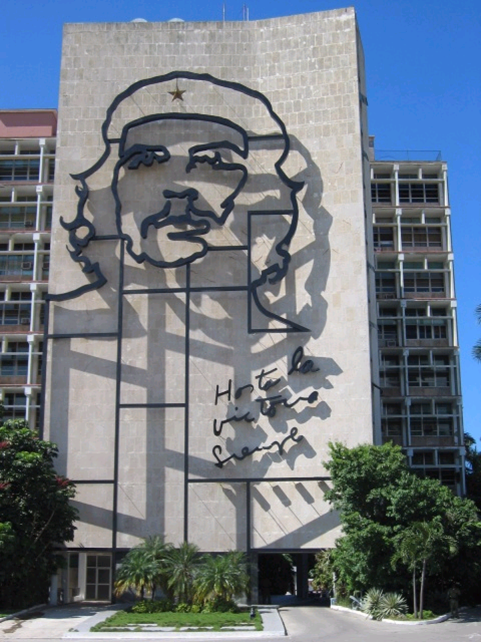 the Conference of the Cuban Communist Party). Upon waking up this morning but even before getting out of bed and dragging a comb across my increasingly hairless head, I checked my iPhone and saw a message there from a friend and fellow Cuban blogósfera watcher. 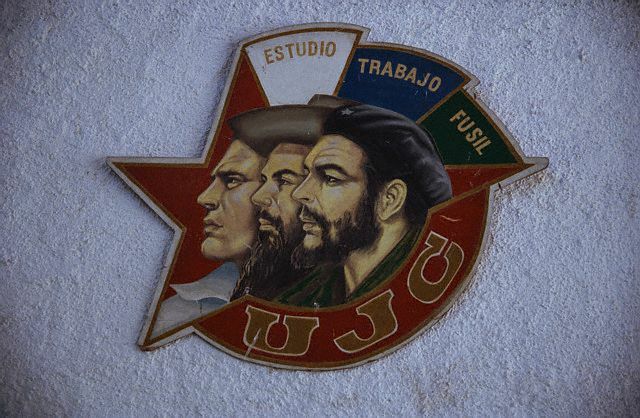 He asked if I had checked the latest surprising post left in BOLD and ALL CAPS at the proudly revolutionary blog, La Joven Cuba, published out of Matanzas by three young professors and grad students there, Harold, Roberto, and Osmany (pictured above). The post is entitled: "La Joven Cuba se toma un descanso" (La Joven Cuba takes a rest). "POR MUCHOS MOTIVOS NOS ES MUY DIFÍCIL MANTENER UN BLOG TAN COMPLEJO COMO LA JOVEN CUBA. NOS TOMAREMOS UN DESCANSO. ESPERAMOS PODER CONTINUAR EN UN FUTURO." 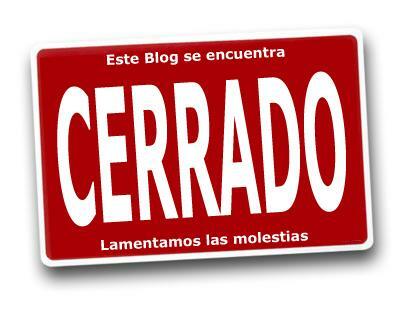 (FOR MANY REASONS IT IS VERY DIFFICULT FOR US TO MAINTAIN SO COMPLEX A BLOG AS LA JOVEN CUBA. WE WILL TAKE A REST. WE HOPE TO CONTINUE IN THE FUTURE). El Yuma at a peso paladar en Matanzas in April, 2011 with Roberto and Harold. While I never agreed politically with much of what these guys posted at LJC, the open, honest way they treated me when I visited and interviewed them in Matanzas in April of 2011, convinced me that they were a genuinely spontaneous (that is grass-roots, not astro-turf) pro-revolution blogging effort of three young people who wanted to defend the revolution on-line. (See here, here, here, and here, for their own comments about our meeting). As Elaine Díaz likes to say, it is possible to be spontaneously pro-revolution out of choice, but as we are learning, that sure ain't easy. "La Joven Cuba enjoys total freedom to do what it does. This is a fact and will continue. The day that this changes, we will end our existence as La Joven Cuba." Perhaps that day has finally come. "La Joven Cuba is not an official blog, we defend the good things about the Revolution and criticize the things we think are negative, that go against and affect the country we dream of and want to build. The Blog was created through our own initiative and desires. We did not ask permission from anyone. 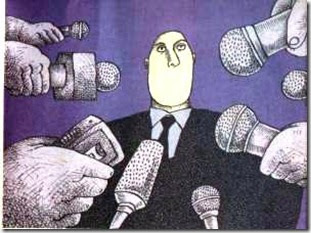 We do not clear what we publish with anyone. La Joven Cuba enjoys total freedom to do what it does. This is a fact and will continue. The day that this changes, we will end our existence as La Joven Cuba. 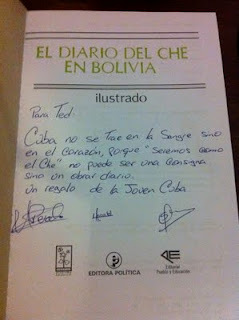 -Roberto G. Peralo, La Joven Cuba, “Reflections on a controversial meeting,” May 5, 2011. The Cuban regime has never been able to tolerate independently organized and operated citizen projects (even proudly and self-described "revolutionary" ones such as LJC) that it didn't eventually and totally control. Initial toleration, eventually leads either to open repression or silent but sure co-optation. In this case, it seems that these three guys made the tough but principled decision to "temporarily" close down their project in order to preserve their independence and prevent being taken over by the "apparatus." Some say China is an example of perfect "networked authoritarianism" (see Rebecca MacKinnon for more on this term) where the C.P. (Communist Party) has figured out how utilize the PC (personal computer) and the Internet to actually strengthen government control. I am one of those who thinks that Cuba is delaying granting greater access to broadband until it can learn how to roll it out in "locked-down" Chinese style. For now, however, perhaps such an arrangement in Cuba has proven impossible and what many had assumed was a cosy relationship between LJC and Cuba's own C.P. is not so cosy after all. All this is even more interesting given the fact that just a few weeks ago on May 28, 2012, Roberto Peralo harshly criticized the government for its delay in granting open access to broadband. Perhaps this closure is related to that harshly worded criticism - especially since I have been unable to locate that post on their blog again (can anyone find it?). 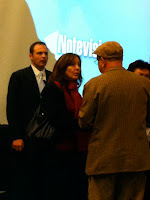 Then, there's the other fascinating fact that Mariela Castro attended and praised the "Blogazo por Cuba" event organized by LJC in Matanzas in late April intended for a group of "blogueros en revolución." She even went so far as to say on Twitter at the time that groups like LJC have shown that the "the best journalism done in Cuba today is in the blogosphere, as Cuban as the palm trees." 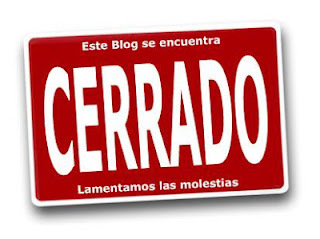 ‏@CastroEspinM - "El mejor ‪#periodismo‬ que se hace en ‪#Cuba‬ hoy está en esta blogosfera, tan cubano como las palmas, ‪#Norelys‬ ‪#BlogazoxCuba‬ @BlogazoxCuba." Maybe Mariela should keep such praise to herself - I mean she even told U.S. audiences during her recent American tour that she would vote for Obama if she could. I'm sure Obama wasn't pleased. When I visited the founders of La Joven Cuba (LJC) in Matanzas in late April, 2011, they received me with cordiality and good humor. During our very frank and respectful four-hour conversation and mutual interview on my visit to Matanzas, I noted in the founders of LJC both a curiosity and capacity for dialogue and a fervent conviction in their own identity as “young revolutionaries.” In essence, theirs is a project that defends the revolution, socialism, and Cuba’s national sovereignty, while at the same time attacking many self-described “alt-bloggers” such as Yoani Sánchez and Miriam Celaya (of Voces Cubanas) frequently and fervently. The site’s creators are three graduate students and professors at the University of Matanzas (Harold Cárdenas Lema, Roberto Peralo, and Osmany “Tatu” Sánchez—the last of whom I was not able to meet). Apart from these three administrators, the site often incorporates posts by some of their undergraduate students at the University and by a handful of foreign collaborators including the Spaniard Josep Calvet and the Cuban-American Max Lesnik. To its detriment, LJC’s blogroll long referenced only the most staunchly official, pro-regime blogs and news sources. In response to their request for suggestions about improvements to their site that would help them be taken more seriously as independent bloggers, I advised them that they could be more diverse in their links to other blogs and not simply highlight the most pro-regime sites with which they sympathize. In the six months since our meeting, their set of links has expanded only very slightly to include a few more moderate voices, but none that could be classified as “outside” the revolution (or much less “against” it). The irony inherent in the fact that this section of their site is labeled “alternative blogs” seems to be lost on them. However, they would likely argue that their blog, as well as the many fiercely pro-regime blogs referenced on their site, are indeed “alternatives” to highly popular and deeply critical blogs such as Generación Y, which to them highlight only the most negative aspects of Cuban reality and purport to speak for an entire “generation,” their generation. In contrast to their blogroll, one of the richest sections of LJC is the normally diverse, respectful, and extensive chain of comments which quickly appear after each of their posts. Often growing to more than 50 entries, these exchanges sometimes become real debates that extend far beyond the content of the original post and include a group of quite faithful and tenacious visitors. 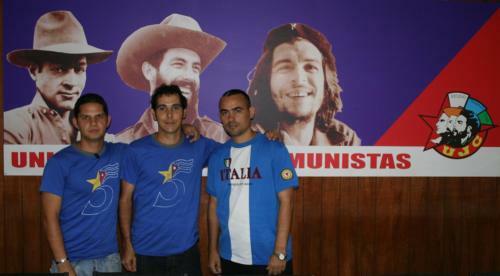 In my interview with Cárdenas and Peralo, I learned that a majority of their visitors are Cuban exiles, some of whom even claim to be former “freedom fighting” members of hard-line exile groups like Alpha-66 (Cárdenas and Peralo would likely call them former “terrorists”). In fact, statistics published on the portal indicate that of the 107,000 total unique visitors to the site in its 18 months of existence, the largest number are from the United States (23,533 or 22% of the total), followed by Mexico (15,288 or 14%), and Spain (9,975 or 9%). Thus, while Generación Y and Voces Cubanas are often criticized for having no following in Cuba and catering to an exclusively international audience, LJC — like Havana Times and Bloggers Cuba — also has far more international than domestic readers. 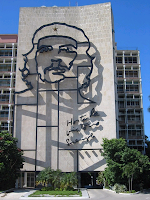 LJC has only received 5,078 unique visitors from within Cuba, ranking seventh and comprising just 5% of the total. The majority of visitors clearly do not share the pro-government orientation of the blog’s administrators, often openly and eloquently critiquing their arguments. However, they leave comments on a regular basis engaging with the authors of each post in a respectful tone and a spirit of free debate. “It is with this spirit,” argue the administrators, “that we will continue promoting debate (not arguments) and we will accept here all who are interested in the future of Cuba regardless of their ideology.” As with the other bloggers described above, the administrators of LJC say that they do not censor comments but do moderate them in order to screen out intolerant, aggressive, and insulting language. They have even blocked some frequent early visitors from leaving new comments with the justification that they did not stay on topic or take seriously others’ point of view. While there was only very limited dialogue among these four blogging enterprises between 2007 and 2010, since my late-April 2011 visit to Cuba and the publication of my interview about the Cuban blogosphere with Luis Manuel García at CubaEncuentro in late-May 2011, there has been quite an explosion of debate between them. This “bloggers’ polemic” has often been quite heated but just as often has exposed clear signs of solidarity among some of these independent “internauts.” In either case, this ongoing polemic has revealed a hunger and capacity for serious debate, as well as a variety of competing arguments and positions vis-à-vis the role of the Internet and blogs in Cuba. “Not too long ago I began visiting a blog run out of the University of Matanzas. I was drawn to it because even though we see reality from different angles, I thought we could build a space for a respectful and sound debate, [something] sorely needed in Cuban society. [...] Someone asked me why would I want to draw attention to a blog that would not do the same for me.